Heart of Thorns, the long awaited expansion to the now free-to-play MMO Guild Wars 2, will be available to buy on October 23. The expansion brings with it a bunch of end game content, introducing 10 player PvE raids to the game for the first time. 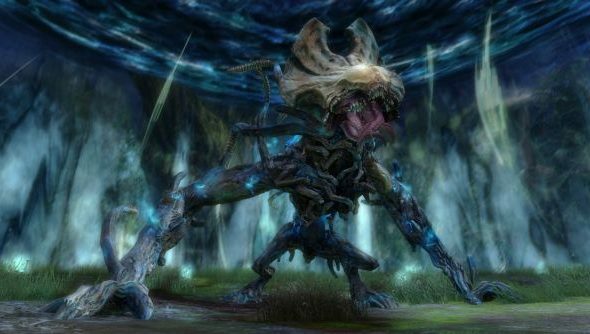 “Leading up to this expansion, one of the things players have been asking us for is more things for their level 80 characters to do and for challenging content,” said ArenaNet president and co-founder Mike O’Brien, when we spoke to him about the game going free-to-play. You can buy Heart of Thorns on the site, with the base game and the expansion costing £34.99. The Deluxe version costs £59.99 and gives you access to the expansion, a miniature Revanant Rytlock, Revenant Finisher, an additional character slot, Mordremoth’s Bane Guild Hall Decoration, and the Heart of Thorns Glider Skin. The £79.99 Ultimate edition gives you all that and 4,000 gems, which have an in-game value of £42.50.